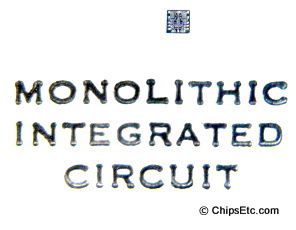 Founded: 1884, Acquired by AT&T in 1991. 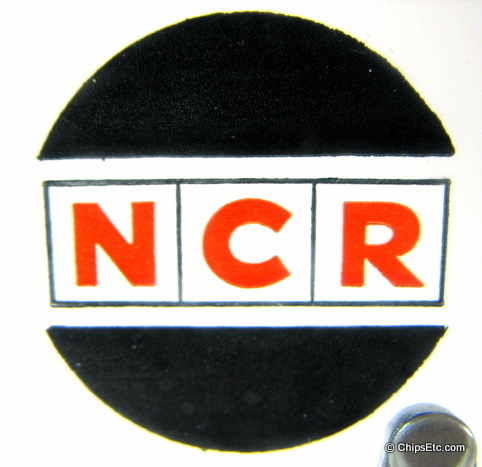 Specialty: Accounting & Adding Machines, ATM's, Cash Registers. 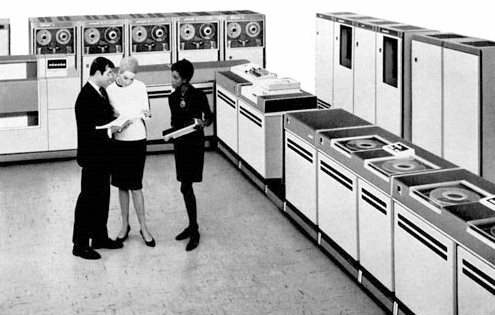 Produced & Developed: the world's first solid state (fully transistorized) business computer (NCR 304), the first mass storage device, the Card Random Access Memory, Thin-Film Rod Memory, one of the first computers to use Integrated Circuits, the Century series of mainframe business computers. 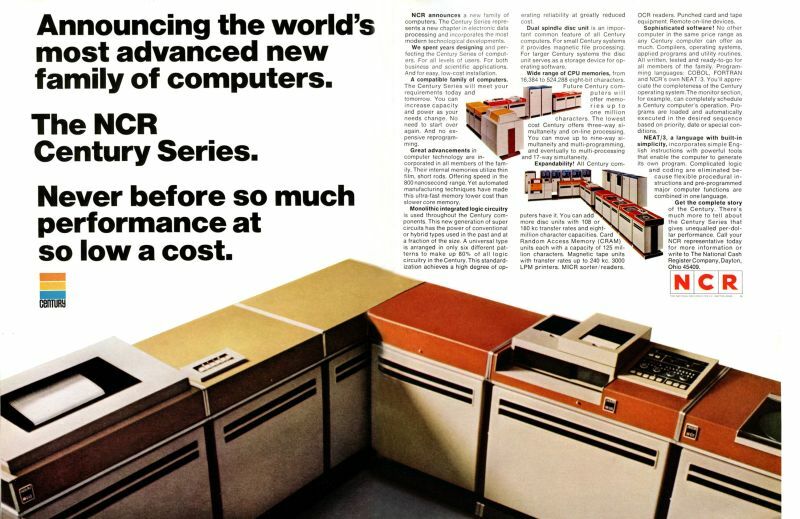 In the late 1960's the race was on to design the first computer built entirely with integrated circuits. 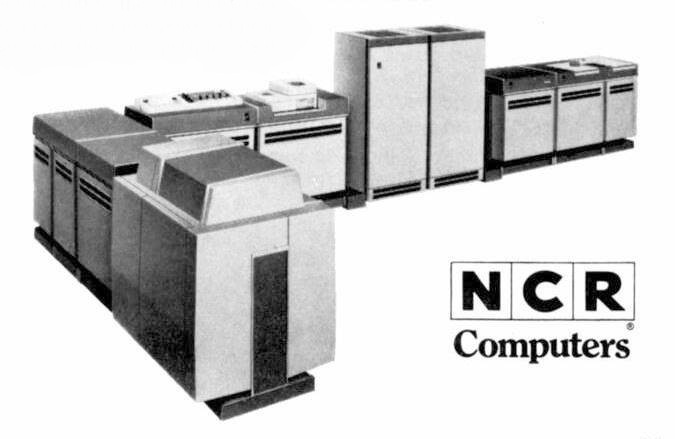 The NCR Century 100 computer tied with Control Data CDC 7600 as the first computer to use Integrated Circuits. 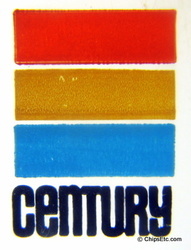 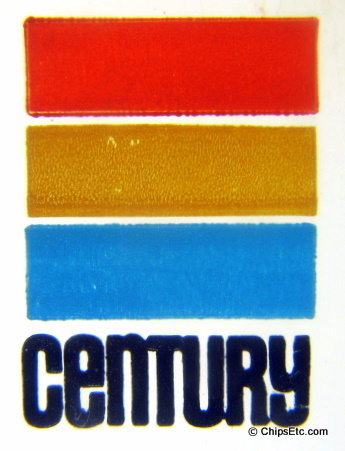 The Century 100 used NCR's unique Advanced Technology Thin-Film Rod Memory. 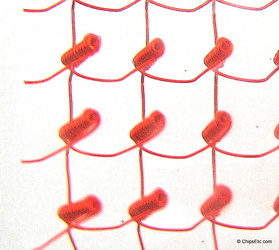 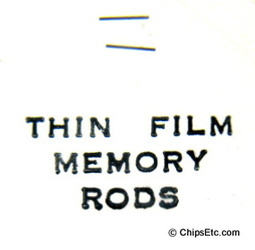 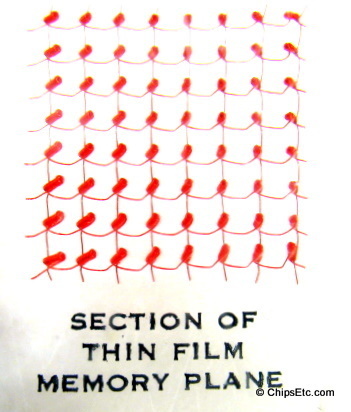 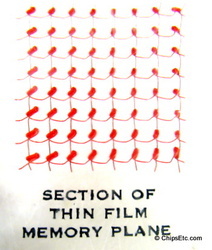 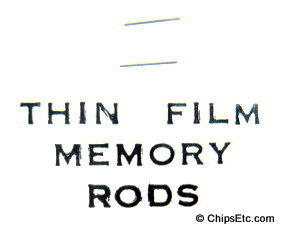 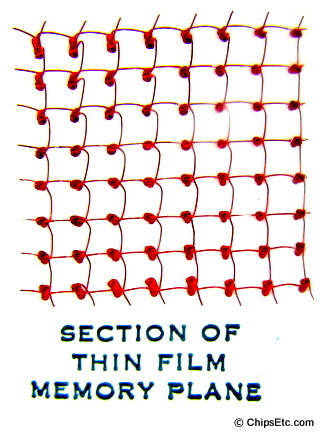 Rod memory arrays were composed of thousands of tiny magnetic rods and wire loops that were similar in operation to magnetic core memory found on many other 1960's computers. Rod memory technology was mainly used in computers made by NCR. This paperweight has a Texas Instruments NCR80 Logic chip in various stages, a single monolithic IC chip and a chip mounted on a gold-plated lead frame. 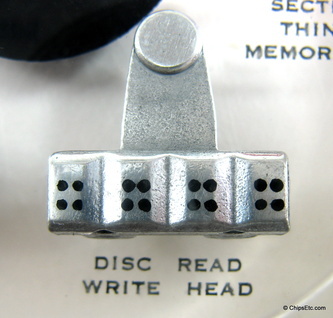 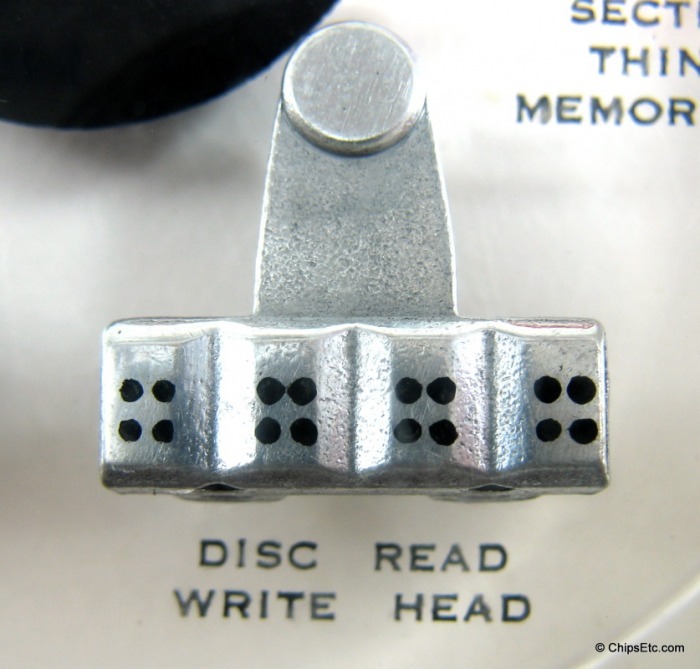 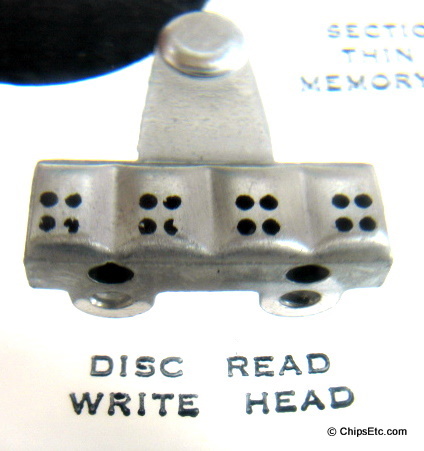 Also, there is a Disc drive read/write head and some NCR Thin Film Rod Memory components. Measures 3 1/2" in diameter x 1" thick. 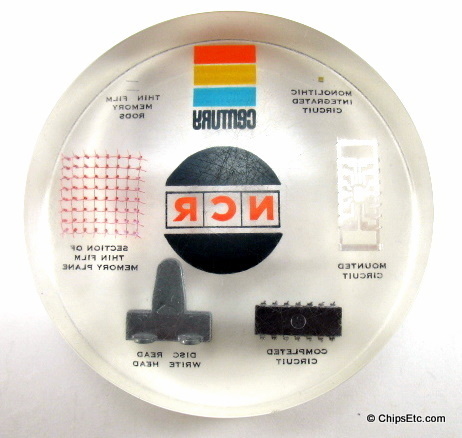 This clear Lucite paperweight from NCR is the same as the one above but the Logic Chip is a Signetics NCR80, and the Kovar lead frame is not gold plated like the one on the item above. 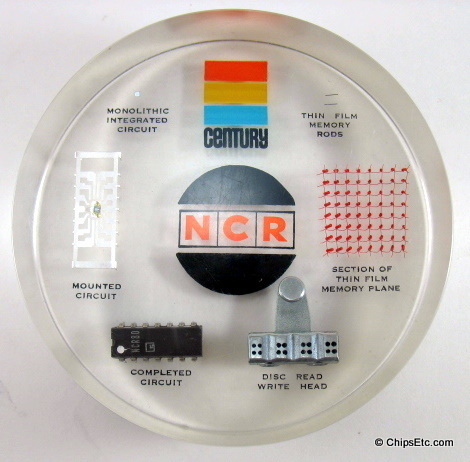 This NCR paperweight is the same as the ones above but the sample Logic Chip is a Fairchild Semiconductor NCR80 in DIP packaging. 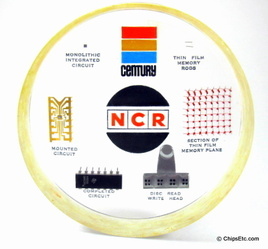 This tie bar was a promotional item given out by NCR Microelectronics which features one of their Logic chips in white ceramic DIP packaging with gold frame & leads. 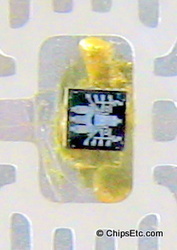 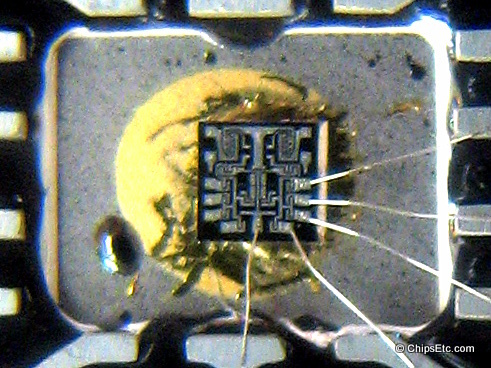 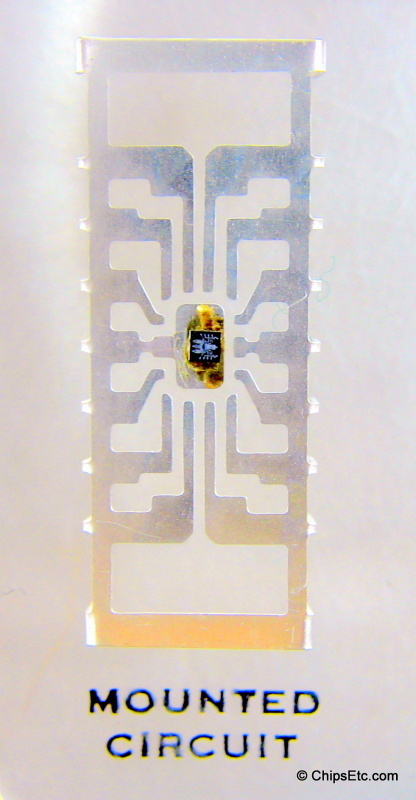 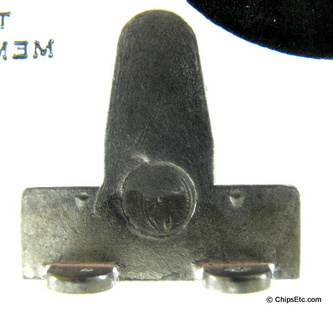 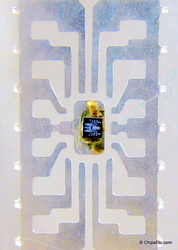 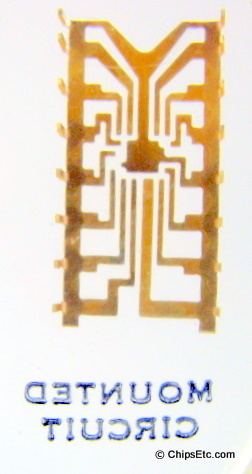 This chip was used in the NCR C-280 and C-270 remote terminals which connected to NCR's Century series of mainframe retail and financial computer & data processing systems. 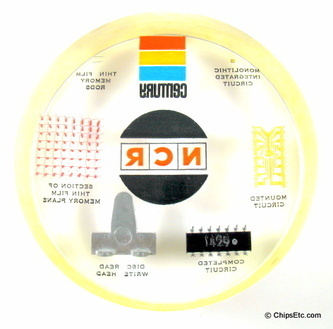 It has the die exposed for viewing and is custom marked with the newly re-designed (1971) NCR logo in red. 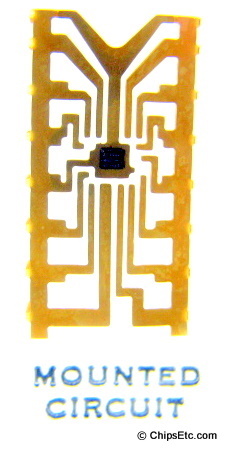 "The tie clasp is attached to a forty pin ceramic package with a MOS-LSI logic array chip located in the center of the surface. 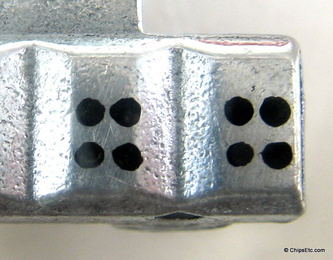 This device is typical of those used in the C-280 and C-270 Systems. 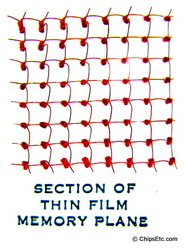 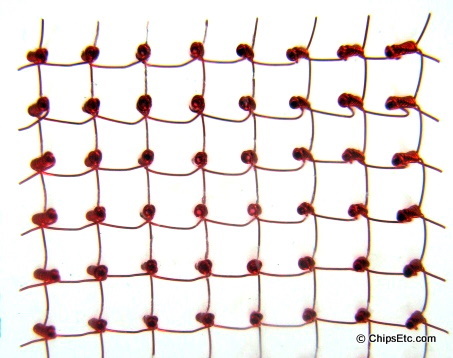 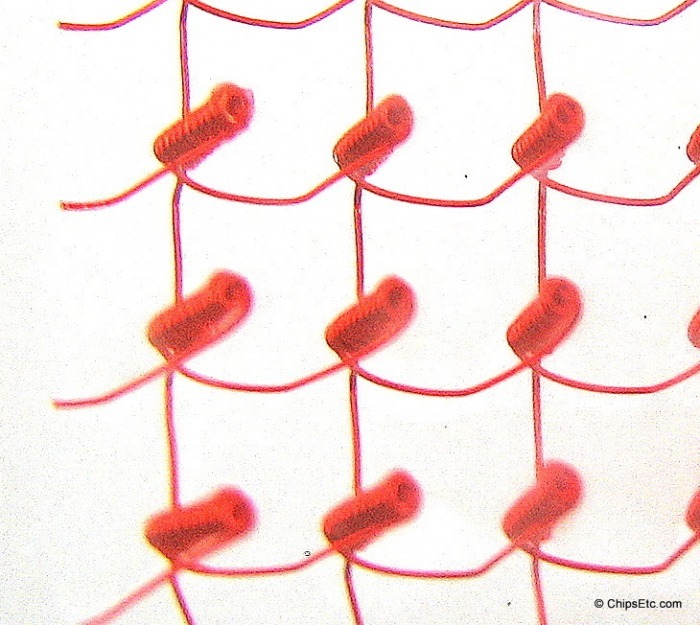 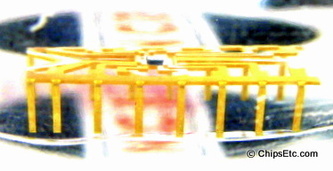 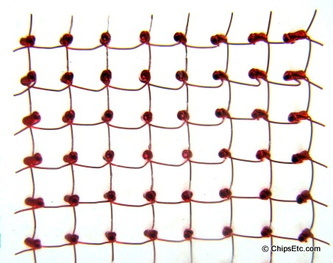 Tiny wire bonds less than the thickness of a human hair can be seen by tilting the package slowly. 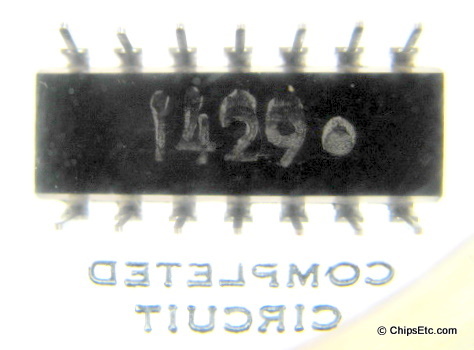 On the surface of the MOS-LSI chip, there are typically 2000 transistors which are equivalent to the number of active components contained in 300 transistor radios." 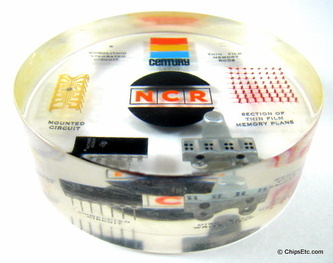 This Lucite paperweight from NCR Microelectronics features their 53C700 SCSI (Small Computer System Interface) controller chip. 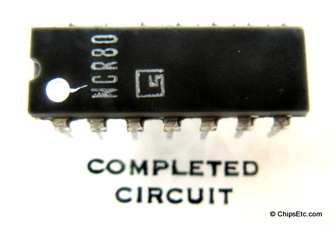 In 1981, Shugart Associates and NCR Microelectronics co-developed the first SCSI controller. 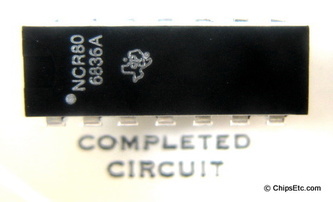 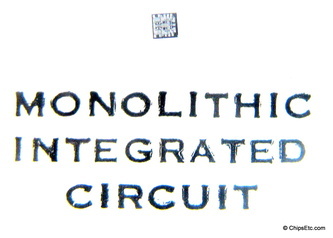 NCR then developed and implemented the design onto a single-chip custom integrated circuit. 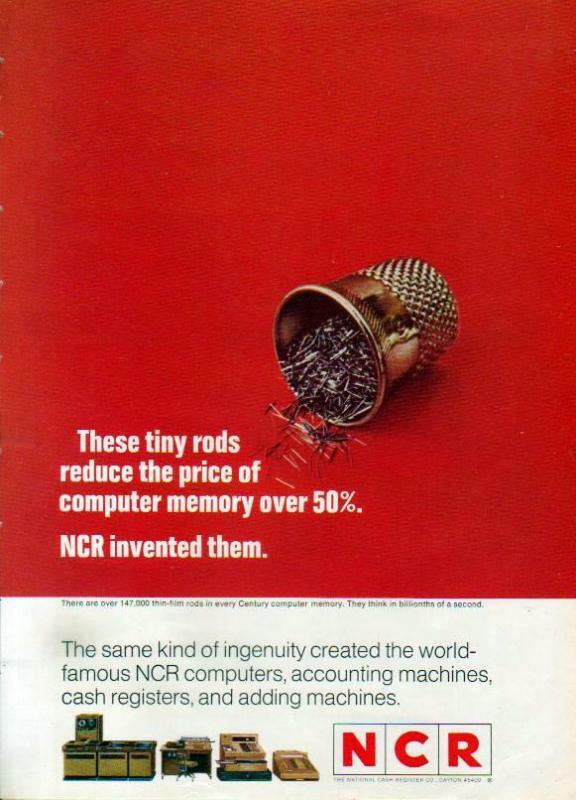 NCR would be instrumental in helping push for SCSI to become an industry recognized standard in 1986. 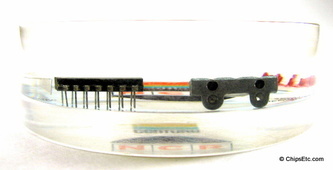 A SCSI controller is used as a high-performance parallel interface between computers and peripheral devices such as Hard Drives and tape drives. 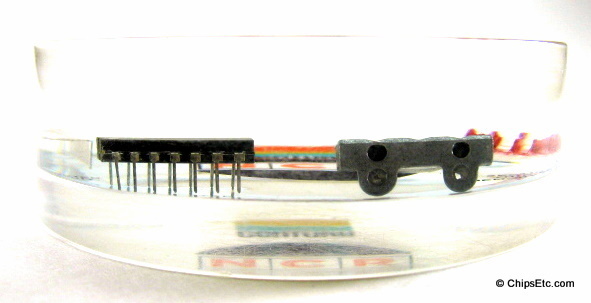 SCSI I/O controller cards were particularly popular in DOS based Desktop PC's and Business computers in the mid 1980's to the 1990's. 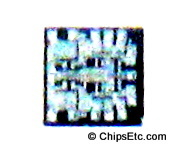 The 53700 SCSI chip was an I/O processor that came in a 160-lead, plastic, quad flat package. 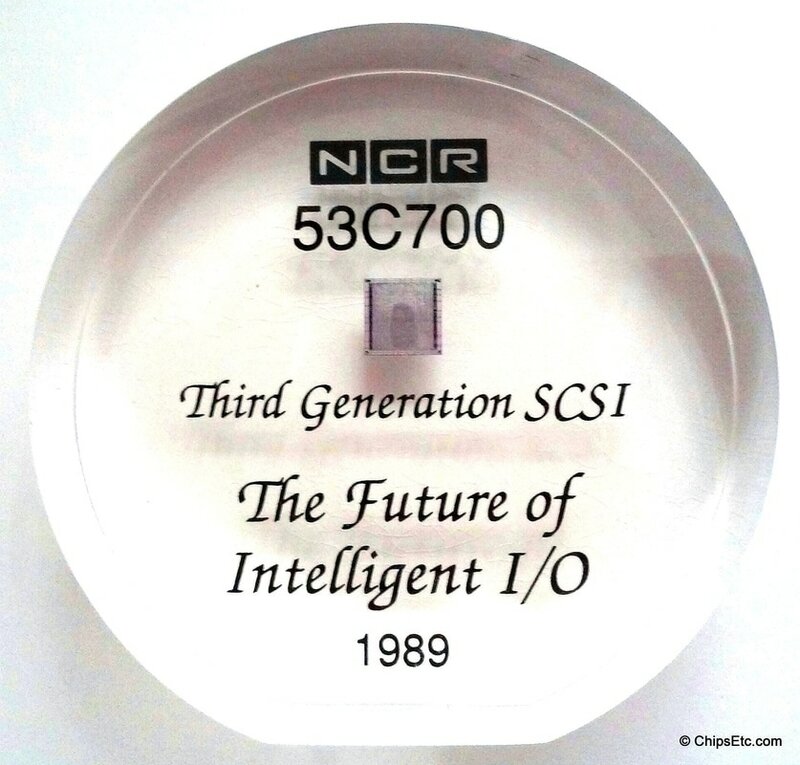 ​Reads "Third generation SCSI / The future of Intelligent I/O".